I always heart for ramen. I don't know why, maybe it is related with my addiction to Japanese and Korean drama. Well, Ramen Sanpachi is the best ramen I ever had, but there's no Ramen Sanpachi in Bandung. 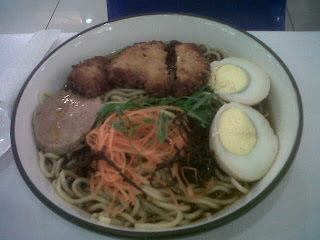 Then, Aswin told me about this one place in Bandung Electronic Centre and it was located in the food court. When you first saw it, then it just another kind of Japanese wannabe food. It was not too interesting, the stall was just so crowded and the photo of the food was kind of bad. But, Aswin told me that the owner of the stall was Japanese and when he tried the food the taste was good. 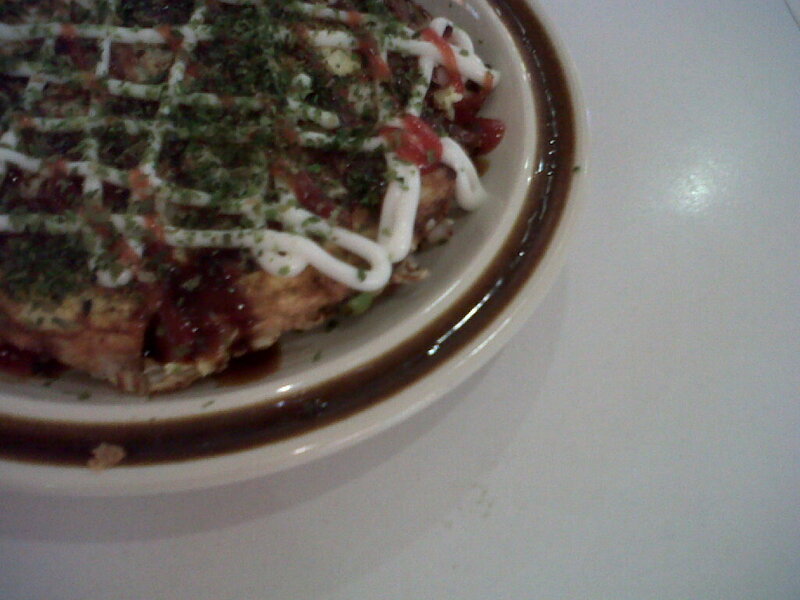 Actually, at first he interested in Okonomiyaki (the Japanese Pancake), because you hardly can find it in here, especially in Bandung. So, he tried it and had a little conversation with the owner. 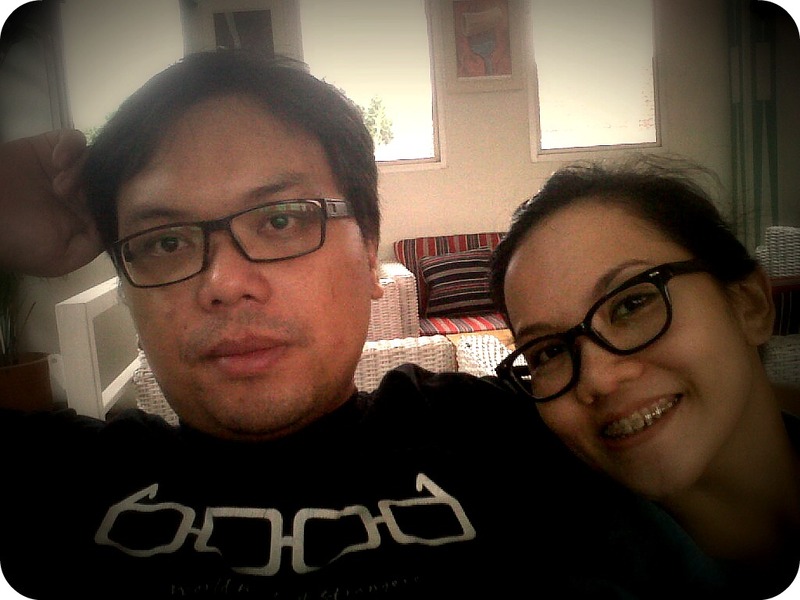 And it was on Ramadhan month and Aswin and I had to go to BEC because urgent matter, I guess it was for repairing the Nintendo WII *urgent haah :P* That time I wasn't fasting because you know...woman matter. So, it was lunch time and I wanted to try the Japanese food that Aswin told me. The place called Yamatoya and beside Okonomiyaki, there was another kind of Japanese food such as Takoyaki, Rice with Curry, and RAMEN. So, I order this Tori Katsu Ramen. It's noodle with fried chicken on the topping. The taste was great, remembering me the one in Ramen Sanpachi and the good things the price was half of Ramen Sanpachi. It was around Rp. 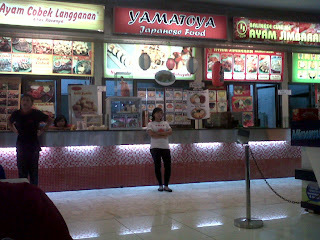 20.000,- So, if you like Ramen or heart for Japanese food then you should try the place.